When Dorothy Martin goes to France – alone because Alan is stuck back home in Sherebury with a broken ankle – she worries about her ability to get along in a language she barely speaks, and in a country she hasn’t seen for over fifty years. 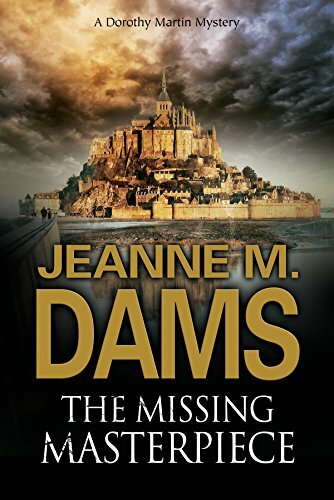 But by the time Alan joins her a week later, Dorothy has found herself embroiled in one mystery after another: a woman drowning in quicksand; a man suffering a near-fatal fall in the abbey at Mont Saint Michel; and a missing American archaeologist – all seemingly connected to a monk named Abelard who has been dead for almost nine hundred years. It isn’t until another body is discovered that Dorothy’s ability to ‘think outside the box’ finally unravels the threads of a despicable scheme.